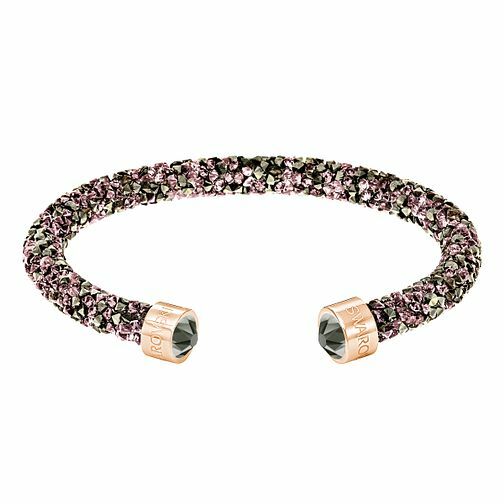 Get instant stacking style with this effortlessly chic bangle from Swarovski's crystal dust collection. Styled with small glittering Swarovski crystals. Wear alone or stack with others for any occasion. Swarovski Yellow Gold Plated Crystal Dust Bangle is rated 5.0 out of 5 by 1. Rated 5 out of 5 by Anonymous from So sparkly and great quality I was bought a Swarovski Bangle, I absolutely love it so sparkly and great quality I wear it every day and still hasn't lost its sparkle.